When and how did you first become a Christian? I didn’t become a Christian until I was an adult. I always knew something was missing from my life. Then a friend invited me to church and not long after, my life changed forever. You write awesome scifi. How has being a Christian shaped your stories? There are things I could never write about. I couldn’t write anything that really ran counter to my faith, whether faith is ever addressed in the story or not. How has your Christianity changed the way you promote your books and present yourself on social media? Believe it or not, I was not a people person before I became a Christian. But I quickly realized that to love God was to love His people. So I try to put others first in everything I do. I try to be the giver. (And yes, sometimes I fail.) But I always keep in mind that I am representing God in all I do and say. Thanks for the interview and the strength to proclaim your faith, Lynda - you rock! The next RiffTrax: Live treat coming our way – Carnival of Souls! Catch it Thursday, October 27 in theaters nationwide. (Performed live in Nashville, TN.) Or see it Halloween night, October 31, during the encore broadcast. Prepare for my review and a slew of pre-show images next week! CassaDawn is now on Goodreads if you'd like to add it to your shelves! We have a special guest at the IWSG site today - hybrid author Catherine Ryan Howard! Christine says - I'm so excited to share with everyone the world of Totem! This has been my biggest project ever. Nine books. At around 25k words per book, that's almost 200k! In honor of Lynda’s release, today’s trivia is all about mainstream movies featuring Christianity and the Bible. Guess the movie from the hints. Does your faith affect your writing? Ready for RiffTrax: Live? Excited about the next Guardians film? Get any trivia answers right? Know any of the movies this week? 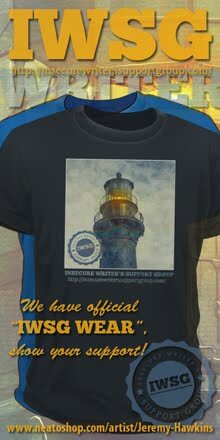 Don’t forget the IWSG Anthology Contest is open until November 1. 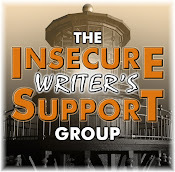 Plus even if you aren’t a member, you can still sign up for our awesome IWSG newsletter for writers. Have a great Halloween and I’ll see you on IWSG Post day! Nice interview with Lynda--and a nice twist for the release! You do a great job demonstrating your faith in your life. I did miss the Guardians of the Galaxy II Trailer last week, thanks for sharing it again. Congrats to both you and Lynda for the interview! Great twist on the interview. Congrats to Lynda and Christine on their releases. Looking forward to Guardians 2. Congratulations to Lynda! I'm wondering if Cling to God is going to come out in paperback? I have a few devotional books that I like to have in hand. Animated whale- I can't think of it.... But Jonah comes to mind? No, YOU rock! Thanks so much for doing the interview with me, Alex and, of course, sharing the news about my book. You are awesome!! And I love the Guardians2 trailer. That was a unique way for Lynda to promote her book on your site. Great idea. I love the little Groot. There are elements I won't put in my books, either. When I first began writing again, my husband posed a question that has always stuck with me, "Could you let our pastor read it?" I'm an agnostic so faith doesn't affect my writing but there are still things I can't write about like hurting animals or children or torture. If there's kids or animals in my story, they're probably going to live. Loved the interview! Congratulations to Linda! Wishing her much success. Thanks for the news and notes, Alex. Have a great week! Congratulations to Lynda! And thank you so much for the shout-out. :) I'm excited for the Guardians movie. My mom will be visiting when Dr. Strange comes out, so my hubby and I will get a date night to see the film! Have a great week. I did miss the Guardians trailer last week. Thanks for showing it again. I will certainly be looking out for it. I have the first one. Barbara, sorry if it's overload. Catherine, I think it is. And very good with the trivia - you are on the right track with Jonah. Congratulations to Lynda and Christine on the new releases! I spent plenty of time last week watching RiffTrax after learning it was on Amazon Prime. Definitely a good way to spend an evening. The Guardians teaser won me over with that hug! Nice to learn a bit more about your journey, Alex. Congratulations to Lynda! I hadn't seen the trailer, funny! Way to Christine! That's a lot of writing! It is interesting that you are being interviewed. Your answers tells how faith had a hand in your success. Faith has certainly played its part in my writings too. One tends to hold on to certain beliefs and principles that puts credibility at its highest order.Rightly so Alex! Wonderful interview, Lynda! I love the way you show and share God's love! Hooray for Guardians of the Galaxy 2! I think I've seen all the movies, but my brain forgets names, titles, all details that I don't strap down with duct tape. 4? I've seen it, but . . .
5? I watched this . . .
6 - Jonah and the Whale? 7 - Ohhh, Prince of Egypt? No, no, aagh. See what I mean about trivia. Galaxy 2 - I want it to be as good as the original. I was raised Methodist and just try to be a good person. Fall fever here - too nice for any movies this weekend. Pumpkins and Boo!!! for the week. I" wearing witch socks today. Great to read Lynda's interview. And I always love that raccoon in the Galaxy movies. Must take myself to see this one. Tyrean, you got three right! I can relate to not wanting to write anything which goes against what you believe to be right. There are situations and outcomes I'll always avoid because I feel it would be wrong to use them as entertainment. Couldn't believe how much I liked the first one, looking forward to the second one! You better believe my faith affects my writing. Probably one of the reasons I write more YA stuff than anything else. I prefer to writer with clean language and life styles. As for the next Guardians of the Galaxy, I can't wait! Very excited for this. Ironically enough, out of all the Marvel films, I like these the most. Loved hearing how your spiritual journey came to be, Alex. I know I could not have gotten through the intense challenges of my last two years without my faith. Congrats to Lynda on her book. Added your book to my Goodreads list. Congrats on having a new book coming out soon! I like exploring how different faiths (or lack thereof) complement each other and clash with each other. You see that a lot in my Toxic World post-apocalyptic series. A lot of people are angry at God, while others still have faith. Loved the reverse interview format--it was very cool to hear about your faith journey, Alex. I hear you about not going certain places in fiction because of our beliefs. Then again, I also feel my faith gives me a certain courage to tackle very tough topics with hope, to shine light in dark places. Lynda's new book looks excellent. Thanks for featuring her! I know movie #2 is King of Kings, and I'm guessing #1 is The Passion of the Christ and #4 is the sound remake of The Ten Commandments. I tend towards creating religious characters, at least in the faiths I'm most familiar with. I'm sure some of my very Orthodox friends might wonder why I'd want to write about "goyim" instead of only creating Jewish characters, but I'm not a one-trick pony. Some of my stories demand the characters be Orthodox Christians, Greek Catholics, Roman Catholics, or various types of Protestants. I also have some Muslim, Western Hindu, Western Buddhist, and Wiccan characters. I actually have plans for an upcoming post about how to write a pre-Vatican II or very traditional Catholic character. Both my husband and I said the same thing after we first watched THE PROFESSIONAL, Natalie Portman was going to be a huge star. Awhile later we saw BEAUTIFUL GIRLS, and there was the affirmation. Congrats to Lynda. I guess my faith influences my writing because in my fantasy worlds where people worship magic users as gods, I always show that they are false gods. I am very excited about the Guardians movie. I no longer believe in any particular faith but my spirituality definitely influences my writing. I need to re-watch the original Guardians of the Galaxy before seeing the new one. I hardly remember anything about it! Nice interview twist. And I completely missed the GOTG2 trail. Thanks for sharing. Can't wait to see it. What you believe cannot not influence who you are. Great interview, Lynda and Alex. Enjoyed Catherine's guest post too. Good information. When I write a story, I will not put anything in it that will offend the ladies in my Sunday school class. So, my faith determines a lot in what I write. Having the guest poster interview you is a great idea!!! I should try that for my next blog tour! Jeffrey, it's my wife's favorite as well. Sean, which is exactly how people react. Laurel, that's a worthy thing. Carrie-Anne, correct! I knew you would get number two. You certainly cover many of the religions with your writing. The Guardians 2 trailer looks so awesome! I can't wait. Passing on the trailer because I want to go in blind, but love to read more about you. Happy New Week and boogie boogie. That was a very nice interview. But I'm embarrassed to admit the only movie I knew for sure was The Ten Commandments. Congratulations to Lynda. Nice twist interviewing you. And don't we all fail some days? It would be an incredibly wonderful world if everyone strove to be a giver - regardless of religious faith (or lack thereof). And all the world's main religions stress lovingkindness. How easily people forget. Stay well, Alex. There's something on the way to NC again. Smiles. I really enjoyed this interview with you--what a great twist! And congrats to Lynda! I also don't write anything counter to my faith. I read a great book about Christians in media, Roaring Lambs (Bob Briner), that has influenced me about being salt and light in my writing. Great interview and I think we couldn't write something that we inherently goes against everything we believe in. Considering how much you give just on blog land tells me how much of a giver you are.....you just can't please everyone. Ok Jim Cazeviel was in a film called the Life of Christ. Cecil B DeMille directed The King of Kings, the 1927 film and he direct Yul Brynner is The 10 Commandments. I'm not sure about the others. I'm looking forward to this new movie for sure. "You just need to find a woman who's pathetic. Like you." That line alone will get me in the theaters. Interesting twist being interviewed on your own blog, but I enjoyed it! Congrats Lynda on your release. Guardian of the Galaxy 2 - All I can say is I'm hooked on a feeling..I'm high on believing. I will def being adding CassaDawn to my bookshelf. PS - You are a beckon of light because you carry light in your heart! Congrats Lynda and quite an enlightening interview there. I have been a christian from a young age. While I stand by my beliefs, in writing I go according to the story and characters, not my personal standards. Congratulations to Lynda and Christine on their releases! You definitely are a giver, Alex! An interesting interview of you by Lynda. Have a good week. Hailing you from Richfield, Utah ~ might be my last chance on-line for a week or more. Have a good one! I think our beliefs always affect our writing. Or should. If they don't, then that's one way of being a sell-out. I'm so out of things these days; behind on everything. Still writing (editing) my anthology excerpt. I'm agnostic, but was raised Southern Baptist; and yes, a lot of times that faith does leak into my writings. Congrats to Lynda on her new book--may it sell many copies. I myself try to keep my faith beliefs private even when writing about other people's in my stories; I guess I just want to be a storyteller. I'm looking forward to Guardians 2 mostly for the humor and (this dates me) the funky old songs I remember too well from long ago. Congrats to you and Lynda for the interview, and wishing much success for both your books. As far as faith is concerned, I am still searching for mine, but certainly my scriptures, and their innate philosophy, leak into whatever I write, and possibly whatever I do/feel/am. Of the trivia, I am guessing the Ralph Fiennes film is The Prince of Egypt? Nice interview with you and Lynda! I can't believe IWSG Day is next week already. Where did October go?! My faith is reflected in my writing both fiction and non-fiction. I don't ever want to sound "too religious" though. I want my stories to be accessible and inclusive. Lynda's book arrived in the mail yesterday. I plan to have an author interview, book review in November for her. Many congrats to Lynda and Christine! Congrats to Lynda and good for her for turning the tables on the traditional author interview. It is good to put others first whenever possible. One of the things high on my to-do list is post reviews of blogger books I've read over the past few months. Featuring them on my blog is good, but I know posted reviews on Amazon and Goodreads are so valuable. I've added Cling to God to the Amazon order I'm putting together this week. Daily devotionals are good for me and akin to my daily expression of gratitude. Religion did not influence me in my earlier books but plays a huge role in the plot and characters for my November 2017 release from Five Star, Wishing Caswell Dead. Writing about faith and hope in the midst of evil was a revealing exercise for me because I had to keep that hope alive for young Jo Mae Proud as she tried to navigate through a world full of flawed humans. That was a nice touch, Alex; having Lynda interviewing you. I was always curious about your faith, as I've known you were a Christian for a long time. I tend not to just come out with it, as it is such a personal thing; I was taught by Jesuit Priests from a young age and was filled with millions of questions, which they patiently answered. I felt a connection to God from my early years, but it's not something I discuss; I'm at home in just about any house of worship that is filled with love. This is one time words are not adequate, but in truth, when you study the world around us, and if you're in one of the sciences - computer science the Maths, as arcane as they may seem, reflect the truth of God; I always loved Flannery O'Connor's "Everything That Rises Must Converge"; that title says it all. Fibonacci sequences; Nautilus shells, the Golden Mean all occur naturally in the world, and the mathematics all reflect that. By the time you hit Calculus, God is EVERYWHERE. My prof used to be amused because I would regularly freak out over something, and we would discuss these things over coffee after class. Anyway, our spirituality, our divinity, or "spark" as one of my Jesuit teachers said (he also said, "You don't need me to tell you these things") and our connectedness to one another is no accident and should be encouraged. I try to put others first and help here in da 'hood, where I can, but lately with this economy, there has been a new tidal wave of homeless, and it can be like draining the ocean with a thimble. There's only so much a person can do. Writing helps. Also, as Tamara does, I too, will reblog and write reviews. 2) The Greatest Story Ever Told? 7) ? I just remember some flap about the actress who portrayed Mary? became pregnant and wasn't married, and I thought the people who were so critical were a bunch of hypocrites. One of the things that really bothers me about organized religion is the way people wield it like a club to further their own ungodly ends. Although, I am a "card-carrying Catholic" and love the mysticism and the rites, especially of the old Orthodox ways, I don't always agree with the dogma. Let's just say anything that is dogmatic is not good. My karma will run over your dogma every time. I saw that in a movie where Alanis Morrisette played God, many many years ago, and can't remember the name. Old-timers is setting in. Looking forward to Guardians 2 and Carnival of Souls, lordy! What a riffing good time that should be! Thank you, Alex, for all you do for us! What a beautiful interview Lynda, congrats. Contrat to all you other book release authors too. OMG Guardian's 2, can't wait. Looking forward to the 3rd Thor too. Thanks for posting the trailer. I've been unwell, so haven't managed to be around as much as I wanted, but I'm back now!! Thanks again, Alex, for featuring my book. And thanks for answering my questions for the interview and being a beacon of Christ's light. I've read all the comments. They are all so heartening. And I loved that the interview generated discussion too, that people took this opportunity to share their own faith. Mary, sounding preachy in stories never works. I'm looking forward to our interview! And thank you so much for buying my book. Tamara, putting others first has a greater reward than many realise. Patricia, May you gain a lot of encouragement through reading the devotional. And thank you to everyone for the congrats and well wishes. I am deeply grateful for everyone's support. Fun interview and a nice twist for you to be the interviewee. It's great that your faith inspires you to be so giving to others. C.S. Lewis became a Christian only when adult. He stayed an atheist all through his terrible war experiences in the trenches of WWI -- contrary to the thought that there are no atheists in foxholes. J R R Tolkien helped him towards Christianity. Fun twist to your blog today! Jenni, I will look for that book. Birgit, you got two! And thank you. Al, it's a great line. Mary - Amen! You got four right. And yes, it was sad how she was so shamed for it. Lynda, you are welcome! Hope you are feeling better. Roland, it's always interesting to see how people were led to God. I still haven't seen the first Guardians of the Galaxy. Wow, for once, I think I might know most of the movies. I FINALLY saw Guardians of the Galaxy only a few months ago, so I'll be excited about a new one . . . and will most likely not see it for months and months anyway. And the interview! So cool, both your end and Lynda's. I think you do a great job of showing love, and I agree with your writing influence—I won't edit anything I can't be proud to have my name on. Looking forward to Guardians! Although the first movie does have a lot to answer for in our household. There was about a month afterwards where every question was answered with "I am Groot!" That interview was a super good way to launch Lynda's new book. And she knew exactly who'd be the ideal interviewee, too! Your faith comes across quite clearly in your online personality, and in the way you support other bloggers. Excellent interview Alex, I sincerely hope Lynda's book does well. Sorry I am late in commenting. When I saw the Guardians of the Galaxy II trailer, I legit started jumping up and down. I was a huge fan of the first one and absolutely cannot wait for the next one. Great interview and what a fun twist to the interview! I did miss the Guardians of the Galaxy trailer--thanks. It looks like fun. Seems to me if your faith doesn't influence EVERYTHING you do, it isn't very.strong. Like Lynda, faith affects everything I do. It's just part of who I am. I can't wait for the new Guardians. Looks amazing!! Yay for Lynda on her book! And what a fabulous interview. It's so true--if we love God, we will love the people around us. Yippee for Christine's new book! When we saw the new Guardians trailer was out, it was a family event. Can't wait! Congrats to Lynda! Christine Rains' new series is fantastic! I'm so excited about Guardians of the Galaxy Vol. 2. It looks like a lot of fun. What a joy to be here again after a long time! It is indeed a wonderful experience to back again to your page. I am so glad to read about our friend Lynda's New Book. Looks like an amazing work, will surely check at Amazon. the wonderful Q & A Session with Alex! The wonderful light we received should be shared all around along with our business activities! Thanks Alex for sharing the other snippets too. Enjoyed reading it, will be back soon to check more. Great interview. Congrats, Lynda, on your book! And congrats to Christine Rains! Lynda, you got five and probably six! And good for you. Galaxy Quest is a movie that I watch and rewatch. Love the characters, plot, Chris Pratt. Being Christian definitely directs my writing. In my other blog site, faith is a necessity. Doh! I totally missed the Guardians of the Galaxy 2 trailer. So glad I came to your blog and watched it. No wonder I enjoy your writing so much! I did notice that it was without all the quesstionable material that I find offensive, and I thank you for that. It is possible to be entertaining without it! Have a Happy Halloween, Alex! You're the most giving person I know, Alex. I'd say you walk the talk. Nice interview, Alex, I always feel that you are such a big Giver, you just love to help other writers, I feel that is the essence of spirituality; that is "to Love God is to love his people." Happy to see Lynda's book here. I think its great to meet/know someone who doesn't just give lip service to being one but actually is one. I've met a lot of people over the years who profess to being one but whose actions say otherwise. Yolanda, that is an odd dream. Elsie, she will appreciate that! GB, and actions do speak louder than words. I would think your faith would affect your writing. How could it not. Sharing is caring no doubt. This is the law we should all live by. I'm sorry to hear Lynda isn't at her full strength. The Guardians of the Galaxy will likely be a good laugh so I figure it'll be good fun to watch. I like the twist. Great interview. Having faith is so important. Go Lynda. I'm very excited for you! I haven't seen that trailer by the way. Love it! Alex, yep, feeling so much better, but still crazy busy. Elsie, I'm thrilled! 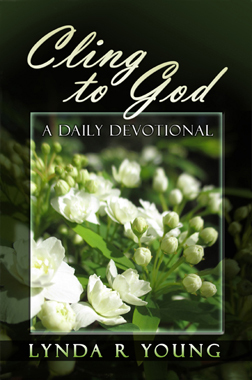 I hope you find lots of encouragement through reading the devotional. Spacer Guy, thanks. Feeling a whole lot better now. And again, thank you to everyone's super encouraging, kind words. It's been very uplifting seeing the reaction to the interview twist. Great interview questions and answers, Alex. Thank you for sharing. Lynda, your book and your beliefs are special tools for these unique times in world history! Good interview. It's not all that often that people discuss religion and what it means to them in such a positive way. It's interesting to hear what people like most about a faith they've chosen, especially when the answer is more than, "I don't know, that's what my family is so I just kind of grew up that way." It's so sweet about how your life changed when you found God. Yay for Lynda for interviewing you! Congrats to Christine for her new release! Thanks for dropping by my blog! Nope, I'm not crazy - I just can't be without internet since being online is a big part of my book promo, writing, life, etc. My main net connection is still not working. It may take them weeks to fix it. I'm glad I have other options for the interim. I cannot wait to see Guardians of the Galaxy II. I love the first one a lot. Wishing you and your wife a funfilled weekend. Hoorays and congrats for new releases. Faith affects my writing in one of two ways; it's either embedded in the story or it guides to stay within certain boundaries. I didn't figure out The Killer but got the others for the trivia. I like the trivia this week. What a great way to tie into your guest post for the day. I got my copy and look forward to applying it daily. Have people been live-tweeting the Rifftrax thing? I saw that "Carnival of Souls" was trending on Twitter recently, and that's the first time I'd heard of it and the MST3K. I loved the GotG2 trailer! LOVE LOVE LOVE it!!! Also, Logan doesn't look half bad either. We might luck out in 2017! I'm a staunch supporter of finding what you need to make your life complete and steer you toward being a good person. If the Christian faith can do that, I'll say Amen. I'll be sure to add your book on Goodread. I so relate to Lynda, as my own faith informs everything I do. I wish her great success with her devotionals, something that's so needed in today's world. I didn't realize Guardians had another one coming out. Happy Halloween. Keep the cauldron boiling. J Lenni, my parents would dump us off at Sunday School, but they never went. Lexa, if you are crazy, it's a good kind of crazy. Sandra, getting ready to settle into a game with my wife! Great interview! and Congrats to Lynda! I think #5 is The Prince of Egypt! I also wanted to tell you Alex that I've really been enjoying listening to your audiobook of CassaFire!! Love the interview twist! There are things and trends in writing I refuse to do/follow. I won't say that it's because of my faith, but more because my faith gives me the strength to stand up against that with which I know aren't all right. I hadn't seen the trailer yet-a real treat! Lynda rocks. Always has, always will. She deserves another cruise! Congratulations Lynda! Interesting twist on the interview post. I like it. I walked to Sunday School as a child. My father died when I was young. My mother believed in allowing us to make our own choices. We are a large family. We were well-represented in our small town churches. My siblings and I are: Baptist, Methodist, Luthern, Assembly of God, and, as my brother likes to say, The Church of What's Happening Now. Christmas was an interesting gathering. Did you get a lot of contestants? Kathryn, correct, and thank you! Glad you're enjoying it. SO excited for GOTG2! And just got my copy of Christine's book. Love her! Wow, I have really been out of the loop! Off I go to check out CassaDawn :) Congrats Alex, and congrats to Lynda on her book release too! I'm looking forward to reading Lynda's book. Hope you had a great weekend, Alex. I enjoyed reading that interview and specially liked that she interviewed you instead of the other way around. Sounds like a good book - Cling to God. I just went over to Stephen's. That painting is absolutely gorgeous. Spookler Alert: OMGosh. My heart couldn't stand it.